The 2016 Eurovision Song Contest final took place Saturday in Stockholm, Sweden. Twenty-six countries competed at the 61st Eurovision Grand Final in Stockholm, Sweden on Saturday night with Ukraine’s Jamala winning the top spot with her song “1994”. Israel’s Hovi Star, who sang “Made of Stars”, was ranked fourteenth. “We feel great. Israel got 12 points from Germany, and that’s something that hasn’t happened since 2005,” Star told Yedioth Aharonot. 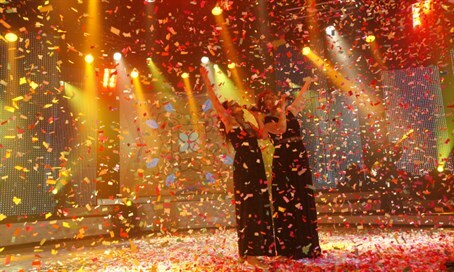 The last time Israel won the contest was in 1998, when transgender singer Dana International sang “Diva”. The Eurovision Song Contest is the longest-running annual international TV song competition, held, primarily, among the member countries of the European Broadcasting Union. For the first time, the show was broadcast live in the United States and China.